Alguien quiere ser un #datanauta? Instrucciones: The public will be able to vote once per day for their favorite project. In order to do so, each voter will need to create an account on spaceappschallenge.org. After two weeks, 5 finalists (those that have received the most votes) will be selected. The public will then vote for another two weeks on the finalists. The winner will be announced in early June. Felicitaciones a los ganadores…https://2017.spaceappschallenge.org/locations/guatemala-city Nos vemos el 17 de mayo a las 11 am para darles sus diplomas y hacer oficial los resultados y sacar el comunicado de prensa. El evento en Guatemala esta siendo organizado por la comercializadora, Grafiatetc, que es un «sp.. Remind global judging nominees + your local people’s choice nominee to submit their 30-second project video by Friday, May 5 at 11:59pm local time. NASA judges will use the videos to evaluate projects and select the winners. Get the word out about your local People’s Choice Award nominee! People’s Choice voting is currently scheduled to begin on Monday, May 8th at 9:00am Eastern on spaceappschallenge.org. This year all local People’s Choice nominees will go to the public vote! La incubadora es de #spaceapps #guatemala que es un programa de incubación de la NASA.Incluye casi 50 proyectos que han salido cayeron de los eventos en Guatemala desde el 2012 en los eventos de Spaceapps realizados. Hemos tenido co-organizaciones con: Usac. UVG. Galileo. Tec y otros. La USAC ofreció espacio físico en su incubadora y al asignarlo se hará oficial, pero otras sedes también han ofrecido espacio. Thank you John for you visit and help in our event. John Sprague, Deputy of the Tech & Innovation Division at NASA HQ and an End User Architect. I’m a retired Air Force Officer before coming to NASA 6 years ago. And I teach Masters courses in Cybersecurity at Webster University. Truly an honor to be in Guatemala. As I flew in Thursday Night I saw your city. es una cuidad muy bella! 2014 Space Apps more than 8,000 citizens of 46 countries, and 95 cities hosted local events. Products: mobile apps, games and hardware. Themes: Earth, Outer Space, Humans and Robotics. This year I’m predicting we’ll hit 10,000 participants in the 136 locations around the world. The International Space Apps Challenge is an unprecedented international collaboration between government agencies, organizations and academic institutions from around the world. The event draws on the talents and initiative of people from around the world, who volunteer their time to respond to real-world problems. Several organizations and universities, including the U.S. Department of the Interior, the European Space Agency, MIT and Columbia University have provided challenges that encourage people to use open data to make useful products. Some of these organizations are hosting events as part of Space Apps. The success of Space Apps relies on local organizers around the world, like Ms Maria Zaghi, who leverage contributions from hundreds of organizations that contribute expertise, financial resources, and in-kind support at the community level. We should all thank your local sponsors: TEC, USAC, Tigo, Columbus, and Cerveceria Centro Americana. We want to encourage the youth of the world to participate in events like this. Alguien quiere dar una charla en el #Spaceapps #Guatemala en #Usac? El hackathon relacionado a la Nasa este año el TEC lo esta organizando en USAC y tendremos charlas del tema de espacio toda la semana en el Lobby de la biblioteca principal en abril. Patrocinadores: Telefónica. 4 acertijos, mBau3D, PDV ,Burgath, Misión Espacial Guatemala. Necesitamos hacer un app con un back end de CMS.Van a ser textos, fotos, videos. Necesitamos un desarrollador de Drupal urgente para estos dias. Quieren visitar el fin de semana el evento de la Nasa (Space Apps Challenge) con mas de 150 hackers? We have almost 90 hackers registered! We are ready and looking at our last activities. This is the group of mentors that will collaborate in the event! 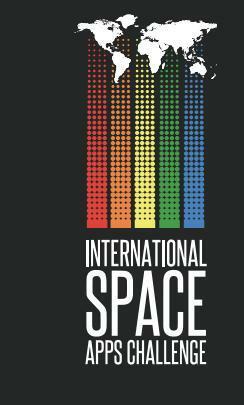 El International Space Apps Challenge es un hackathon internacional que se llevará a cabo durante un período de 48 horas en ciudades en los siete continentes durante el fin de semana del 12-13 de abril de 2014. El evento apela a la solución colaborativa de problemas y tiene el objetivo de producir soluciones de código abierto para encarar desafíos mundiales. Las Hackatones son maratones de desarrollo de tecnología que giran entorno a talentos e iniciativas de voluntarios de mente brillante, tanto desarrolladores, ingenieros, técnicos, diseñadores y cualquier persona que con pasión desee tener un impacto inmediato en el mundo. Están abiertas a cualquier persona que tenga una pasión por hacer la diferencia y se centre en el desarrollo de soluciones reales a retos mundiales al final del evento. El primer reto de International Apps challenge se celebró en abril de 2012 en 25 ciudades del mundo. El evento reunió a más de 2.000 participantes (edades de 16 a 70 años) para enfrentar 71 desafíos centrados en mejorar la vida en el espacio y en la tierra! Más de 100 soluciones de código abierto únicas se desarrollaron en menos de 48 horas. El international Space Apps Challenge fue un éxito en el 2013 con mas de 9000 participantes y se ha convertido en un evento anual. Nuestra visión es que este desafío internacional de aplicaciones del espacio continuará dando a la gente en todas partes una oportunidad sin precedentes para desarrollar soluciones significativas para ayudar a abordar necesidades críticas aplicables a ambas, la vida en el espacio y en la tierra. Un proyecto de Guatemala obtuvo mención especial en los premios del SpaceApps Challenge con la NASA organizado este pasado abril 20 y 21 en un Hackathon a nivel internacional. Guatemala participo con mas de 80 países y tuvo a mas de 80 personas en la actividad. Guatemalan Candidates – People´s Choice for #spaceapps challenge 2013! Voting is open for People’s Choice until May 17. To vote use Twitter to @spaceapps. «We» or «us» means NASA and its related entities conducting the International Space Apps Challenge. The International Space Apps Challenge will be held at each International Space Apps Challenge Location starting on April 20, 2013. Prior to the start time, you must be registered to participate in the International Space Apps Challenge either online at https://spaceappschallenge.org or in person at your local Location. If you wish to submit your solution, select the «Submit Solution» button from the relevant challenge. If your solution requires the use of non-NASA materials (such as a dataset or code) (your «Solution Materials»), you are responsible for ensuring that your Solution Materials are available without restriction or, at a minimum, are also licensed as open source as defined by the Open Source Initiative: http://www.opensource.org/docs/osd. Examples of appropriate licenses can be found here: http://www.opensource.org/licenses. You are solely responsible for all required verification or investigation of the availability of your Solution Materials prior to submitting your solution. Any licenses applicable to your Solution Materials must be identified in the documentation submitted for your solution. Any solutions which do not include appropriate license documentation for Solution Materials will not be accepted for posting. You represent and warrant that you have sufficient rights to authorize the publication and dissemination of your solution to support the International Space Apps Challenge and to use and to authorize others to use your Solution Materials, whether those materials are owned by you or others (as specified in the ?Use of Third Party Materials? section of this Agreement). You are wholly responsible for your solution. This means you are liable if your solution (1) is determined to be defamatory, abusive, derogatory, offensive, or otherwise inappropriate, (2) violates any laws, rules or regulations, or (3) infringes, or constitutes a misappropriation of, any intellectual property rights or confidential information of any third party. We reserve the right to remove your solution from the International Space Apps Challenge website at any time in at our sole discretion. Except where prohibited, submission of a solution constitutes your consent for use of your name, and/or hometown and country information and information about your solution for promotional purposes in connection with the International Space Apps Challenge through any form of media, worldwide, without further permission, payment or consideration. Your local International Space Apps Challenge Location is solely responsible for compliance with any laws, rules or regulations applicable to prizes or contests in its jurisdiction. NASA is not responsible for the conduct of any International Space Apps Challenge events. You agree to release and hold NASA and its related entities harmless against any and all claims against them resulting from your breach of any of the representations, warranties or obligations contained in this Agreement, including claims related to the use of your Solution Materials. You assume any and all risks to you associated with your submission of a solution. Therefore, you also waive and release any and all claims or causes of action against NASA, the United States Federal Government and its officers, employees and agents for any and all injury and damage of any nature whatsoever (whether existing or thereafter arising, whether direct, indirect, or consequential and whether foreseeable or not), arising from the submission of your solution to the International Space Apps Challenge.